Dr. Blaise Uhagaze, director of health and environment in the city of Kigali, indicates that high population density in the city of Kigali causes a burden to health system. This was said in Kigali this Tuesday during a workshop organized by the Belgian Technical Cooperation (BTC). Over the past decades, de number of inhabitants in the capital has skyrocketed. Where there were only 6,000 in 1962, in the next 40 years it grew a hundred-fold to reach 765,325 by 2002. The growth rate has further increased in the past decades, to 923,176 inhabitants in 2006 and an estimated 1,220,000 today. 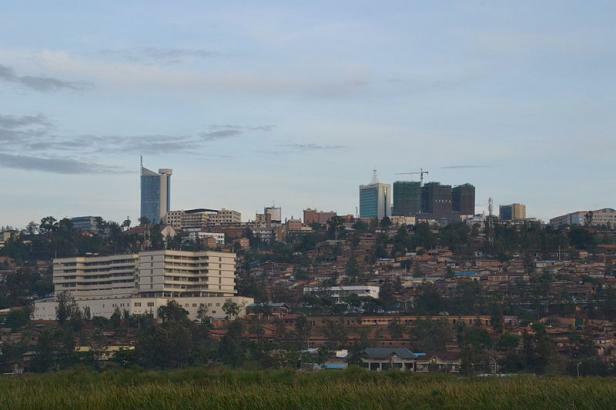 According to projections, 2 million people will live in Kigali by 2020. Uhagaze indicated that as a result the public health system in the capital is overwhelmed. For example, Kigali has the highest prevalence HIV-AIDS prevalence in the country with 7%, against 3% nationwide. The capital also accounts for more than a third of the tuberculosis cases in the country, and also had a bigger share of other respiratory and non-communicable diseases like asthma and diabetes. In addition, it rates high for drugs abuse, violence and accidents, with which the health system also has to deal. Against that, the public health sector is woefully lacking in human resources and infrastructure with only 18 health centers and 3 hospitals. This results in too many patients ending up at CHUK, a referral hospital, where it is estimated that 26% of the cases could have been treated at a lower level. Staff is also insufficient, with just 1 nurse (A2) and 0.4 doctors per 10,000 inhabitants. Needless to say, there is an even greater gap when it comes to specialists, who are mainly to be found in private hospitals and clinics, yet in general those do not accept the public health insurance (mutuelle de santé). One positive point is that there is reasonable growth in the private health sector at 30%, although currently it mainly caters for out-patients. Dr. Uhagaze indicated that there is a program to better equip health centers and train nurses to improve treatment of especially non-communicable diseases. Efforts are also being made to increase infrastructure. For example, with the assistance of BTC four health centers were equipped as a way of increasing quality of care offered at the first level to reduce unnecessary transfers to referral hospitals that receive patients from all around the country. The health sector seeks to focus on four components namely institutional support, the mental health program, the medical maintenance center as well as the urban health program. Officials remarked that there is a need for a public-private partnership to promote health services at the lowest community level. In order to effectively provide quality health care, one official in the ministry indicated that an accreditation body to monitor health activities is required. Doctors have been advised to always consult the Centre for Blood Transfusion (NCBT) or blood experts before administering blood transfusion to patients in critical condition. The head of division National Centre for Blood Transfusion (NCBT), Dr Swaibu Gatare, made the call ahead of Saturday’s World Blood Donor Day. The appeal followed reports of loss of lives in different hospitals across the country arising from poor prescription of the relevant blood type for parents during emergencies. “The problem is that doctors in hospitals do not consult blood experts during emergencies. For example if someone is O negative and is in critical condition, we can recommend them to be given O positive blood. However, for the cases of mothers we give them an additional drug to avoid the side effects it may have. But often you find doctors are not aware of such treatment,” Gatare said during a news briefing in Kigali on Wednesday. “We have received several complaints regarding inappropriate use of blood, an example is a case of a mother who died at one of the hospitals in the country because the hospital prescribed a wrong blood group for her. If the doctors had consulted us early enough she could still be alive,” Gatare added. Gatare said that to enhance communication between doctors and the transfusion centre, they had embarked on a hospital based training project where they train doctors in blood transfusion. 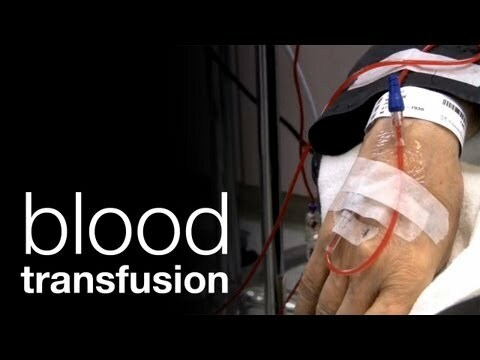 The move is aimed at minimising cases of inappropriate blood use as well as bridge the communication gap between hospitals and the transfusion centre. Gatare’s call is in line with this year’s theme for the World Blood Donor Day which is “Safe blood for saving mothers”. According to the World Health Organisation (WHO) every day, about 800 women die from pregnancy or child birth-related complications in developing countries. Severe bleeding during delivery and after child birth was cited as a major cause of mortality, morbidity and long term disability. Last year, Rwanda collected over 43,074 units of blood from volunteers which Gatare said helped save lives of patients. He explained that most of the blood collection in the country goes to the obstetrics and gynecology departments. The national celebrations will be held in Kansi sector, Gisagara District in the Southern Province and will seek to raise awareness on the need for safe blood transfusion as well as recognise the voluntary donors for their life saving gift of blood. To offer effective and efficient service delivery, NCBT has got over 450 collection sites and five regional blood centres in Kigali, Rwamagana, Butare, Ruhengeri and Karongi districts. For one to be eligible to donate blood, they have to be between 18 -65 years of age and must at least have 50 kilos and above with no health complications. A twelve -member Chinese medical team has arrived in the country as part of the medical assistance that the Peoples’ Republic has been giving to Rwanda since 1982. The new team will be deployed at Kibungo Hospital in the Eastern Province. During the welcome dinner hosted by the Chinese Embassy, Minister of Health Dr Richard Sezibera commended the existing bilateral relations between Rwanda and China that has ensured cooperation in health and other sectors. 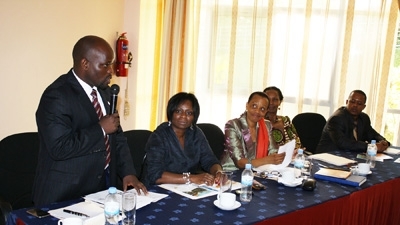 “Rwanda commends the outgoing team for the high-level professional techniques and dedication in providing medical services to Rwandans,” Sezibera told the medics. The new delegation is made up of medical specialists in different fields and they came equipped with medical supplies and other facilities that they will use while on assignment here. The same dinner also honoured the departing Chinese medical team that has finished its two year term in the country. Sezibera noted that the Chinese medics’ expertise would contribute to the improvement of health sector in the country. “This cooperation has ensured cross cultural learning and knowledge-sharing that goes on to improve services offered to patients,” Sezibera said. The head of the outgoing team, Fang Xuejun praised the government of Rwanda for the support it has rendered to his team during their stay in the country. 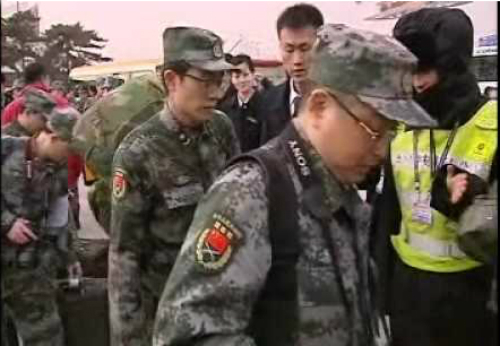 According to Xuejun, the team diagnosed and treated 30,000 patients and performed over 3,000 operations. The Charge d’Affaires of the Chinese Embassy in Kigali, Li Yigang, hailed the outgoing team for its success and urged the new team to build on present achievements of the China-Rwanda health cooperation. Yiyang stressed the need for continued efforts to improve health and assured his country’s dedication in assisting Rwanda achieve its goals. Africa has become a better place for children in recent years, but more investments are needed in health and education to further improve the lives of African children, according to a new study of the African Child Policy Forum. The African Report on Child Well-being 2013, says conditions for children on the African continent improved in the last five years, mostly because of recent achievements in increasing the survival rate of children, reducing infant mortality and improved access to water and sanitation. Mauritius, South Africa and Tunisia top the list of the 52 investigated African countries in the report launched by the African Child Policy Forum. They put in place national laws that protect children from violence and maltreatment. That resulted in better outcomes for children in those countries. But executive director of the African Child Policy Forum Theophane Nikyeme says that despite the improvements, the continent is still facing serious challenges when it comes to providing basic needs for children. Many children in Africa still die from preventable diseases such as malaria, diarrhea and malnutrition. While African governments committed to spend 15 percent of their budget on health, on average only 11 percent is spent. The worst places for children to grow up are unstable and fragile countries such as the Central African Republic, Chad and Eritrea. The report focuses on 44 indicators such as a government’s provision for children’s basic needs and the participation of children in decisions that affect them. Countries with low GDP such as Rwanda and Malawi scored higher than countries with a relatively higher GDP such as Namibia and Equatorial Guinea. “What we are advocating for, is for governments, when they ratify a law or a treaty at the international level or regional level, they should go back to harmonize it to the national laws. But this is not happening,” said Nikyeme. 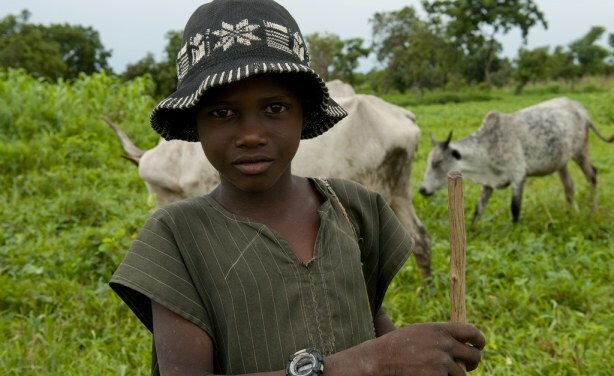 The first report on child well-being in Africa was done in 2008. While the overall well-being of children seems to have improved, the report calls upon African governments to increase investments in education, health and social protection. The African Child Forum Policy also urges African countries to enhance accountability and good governance so that the recent economic growth on the continent should translate into concrete results. Somalia, South Sudan and Western Sahara were not included in the report because of a lack of reliable data. We live in an age where the latest technology and gadgets are king, but sometimes the most low-tech methods can produce good medical results. 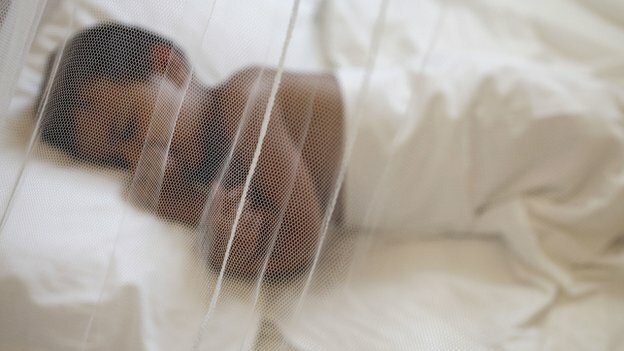 Mosquito nets, key in the fight against malaria, are now also being used to repair hernias – the most common operation in the world. The hope is to save some of the estimated 50,000 lives lost in Africa each year to untreated hernias. The two most common types of hernia are called ‘inguinal’ (75% of cases) and ‘umbilical’ (10-15%). Inguinal hernias appear in the groin and mostly affect children under two and men over 55. If left untreated, inguinal hernias can balloon to massive proportions – known as wheelbarrow hernias (see image). Men are more susceptible than women due to a natural weakness in the abdominal wall caused by the spermatic cord exiting the body to connect with the testes. Hernias can have a dramatic impact on people’s lives and ability to work. If the blood supply to the hernia is cut off when it becomes too large, the patient can die. Globally, one in four men will be affected during their lifetime. “In the UK and US, we usually mend hernias with surgical mesh, but these cost around US$30 each and are too expensive for hospitals in resource-poor countries,” says Prof Andrew Kingsnorth, a hernia specialist at Plymouth’s Derriford Hospital. Hernias occur when a part of the bowel gets pushed through a hole or tear in the muscle wall of the abdomen. This is usually caused by straining, heavy lifting, chronic constipation or even having a severe cough. Due to a quirk of anatomy, men are nine times more susceptible than women. In most people, a hernia first appears as a small lump in the groin, which pops out when a person coughs or strains. But if left untreated, more intestine can be pushed out – resulting in hernias the size of a football. Even more serious is when the hole in the abdominal wall starts restricting the blood supply to the intestines on the outside, causing a painful and potentially life-threatening ‘strangulated hernia’. The most effective way to treat hernias is to patch up the hole with a piece of mesh. It’s a simple procedure that completely cures the problem. But in 1994, Indian surgeon Dr Ravi Tongaonkar investigated using sterilised mosquito mesh as a low-cost substitute for the expensive commercial meshes currently in use. His mosquito meshes work out around 4,000 times cheaper than imported mesh and he has used them to fix 591 hernias. But using them doesn’t necessarily mean they’re as good as the real thing. To investigate their effectiveness, specialist gastrointestinal surgeon David Sanders carried out a study which looked at the two meshes under powerful microscopes and performed stringent tests on their physical properties. He found that it was pretty much impossible to tell them apart. Sanders is also keen to point out that doctors should not go out and use any old mosquito mesh, as they are not all made in the same way and some are impregnated with chemicals such as DEET. Prof Kingsnorth, who leads the charitable organisation Operation Hernia, is now looking to introduce the mosquito mesh in places where hernia repair costs are currently prohibitive. “We have trained surgeons in Ghana, Nigeria, Cote D’Ivoire, Gambia, Rwanda, Malawi, Ecuador, Peru, Brazil, India, Moldova, Ukraine and Cambodia,” he told the BBC. Not everyone is convinced by using mosquito mesh. In Rwanda for example, it’s been decided that hospital staff must stick to using conventional surgical brands. But evidence is already building that could one day see mosquito mesh as an alternative in which people can feel confident. And a long-term follow-up study of over 700 patients has shown that even 10 years later, mosquito mesh was still going strong. A workshop held in Ethiopia’s capital Addis Ababa led by a minister of education, from nine African countries and four emerging economic power countries like China, Korea, India and Brazil. The workshop was facilitated by the World Bank and hosted by the government of Ethiopia, aimed to create a Partnership in Applied Sciences, Engineering and Technology called PASET between Sub-Saharan African countries and the emerging nations. The partnership idea was induced by Makhtar Diop, the World Bank’s vice-president for Africa and a former Senegalese minister of finance, supporting to promote science and technology. PASET – a partnership for skills development in Africa covering the whole spectrum of education, from Technical and Vocational Education and Training (TVET) to higher education, in applied sciences. The partner countries already make significant investments in Africa, to develop necessary human resources to operate and maintain the infrastructure being built and to maximize the return. Though they already have engagements in human capital development in Africa, mostly through scholarships, may not have been focused towards the African countries’ human resources development plans. It would be impossible for the World Bank to involve all Sub-Saharan African countries at the initial stage. For a first phase it will involve in nine countries: Ethiopia, Guinea, Liberia, Mozambique, Nigeria, Rwanda, Senegal, Sudan and Tanzania. The partner countries highlighted their expertise in specific areas relevant to the PASET initiative. These included development in agriculture and training of TVET instructors by China; use of ICT in education by Korea; institutional and industry collaboration by India; and postgraduate training and research by Brazil. The workshop in particular provided opportunities for bilateral meetings between the African and partner countries to discuss possible future collaboration. There was unanimous support and commitment to PASET by the participating African countries. The need for mutual understanding, trust and benefits in all partnerships was emphasized again and again. It was acknowledged that Africa was unfamiliar territory for most of the partner countries and PASET provided an opportunity for them to better understand the development needs of the African countries. Similarly, PASET would promote greater collaboration among the African countries themselves, enabling them to share experiences and make joint proposals to partner countries.